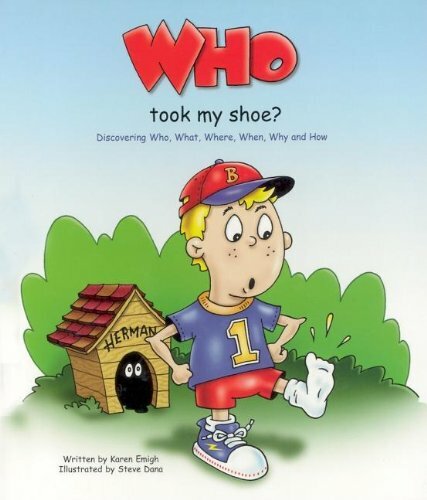 Helps children with autistic spectrum disorders understand the concepts of "who," "what," "where," when," "why," and "how," through the story of a little boy who is systematically looking for his lost shoe. Brett and his dog Herman embark on a search for Brett’s mysteriously missing shoe. They playfully and methodically ask questions, such as Who took it? What happened to it? How can I find my shoe? Follett RL 1.6 IL Pres-1.